Although it is clear that social media is powerful, many luxury fashion brands have been reluctant or unable to develop strategies and allocate resources to effectively engage with the new media. Adopting an exploratory approach, this chapter studies the use of social media in the luxury fashion industry through three case studies from the Italian market. The aim is to understand the role of social media as a strategic marketing tool and its broader implications to the overall marketing strategy. 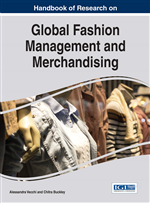 The findings arising from this research can help practitioners and managers to make sense of the social media environment and better understand how to design social media activities to engage with the luxury fashion consumer. The term fashion may refer to aesthetic fashion, which serves to fulfil our senses and is found in many commercial areas of contemporary life (Abrahamson, 1996). From a more general perspective, fashion can be defined as being something with short-term popularity applied to different product categories, lifestyles and business sectors, and can be used in describing the characteristics of an individual; for example, a person described as being ‘fashionable’ would be someone who embraces the aspects of what is considered popular at a given time (Lipovetsky, 2002; Hines & Bruce, 2007). For the purposes of this chapter, the term fashion mostly refers to the production and the fruition of garment and accessories (Barnard, 1996; Jackson, 2004), or as Luigi Maramotti, CEO of Max Mara Fashion Group highlights: ‘I must emphasise that I consider a designed garment ‘fashion’ only when it is marketed and worn by someone’ (Maramotti, 2000, p. 96). As a business sector these distinctive features of changeability, likeability and wearability signify the presence of major challenges in the integration of luxury fashion within social media and the broader digital environment and the requirement of new innovative strategies to overcome them. Until recently, the luxury fashion industry has shown low commitment towards digital technology in the sector's marketing and overall business strategies (Maman Larraufie & Kourdoughli, 2014). For instance, established Italian luxury brands such as Versace and Prada did not have corporate websites until 2005 and 2007, respectively (Okonkwo, 2010). The slowness of the luxury fashion industry in establishing an online presence in comparison to other sectors visibly clashes with the common idea of an industry that is known for innovation, avant-gardism and creativity. Coupled with the growing demand for a stronger digital presence overall, the rise of social media has brought new challenges to the luxury fashion sector. The importance of social media is evident as millions of people utilise it to connect with others, share content and discuss different topics (Kaplan & Haenlein, 2010, 2011; Hanna, Rohm, & Crittenden, 2011; Berthon, Pitt, Plangger, & Shapiro, 2012) yet many luxury fashion brands have been reluctant or unable to develop strategies and allocate resources to effectively engage with the new channels. This attitude has changed in recent years; social media such as Facebook, Twitter, Instagram and Snapchat have become an integral part of how luxury brands connect with consumers, providing immense opportunities for innovative marketing communications (Kim & Ko, 2010, 2012; Chu, Kamal Kim, 2013; Dhaoui, 2014; Kontu & Vecchi, 2014). Despite the growing importance of social media among both practitioners and academics, the applications of social media in the luxury fashion context remain largely unexplored in the literature, particularly with regards to the particularities of fashion marketing, which have posed a challenge in adopting digital technologies in the sector over the past two decades (e.g. Doherty & Ellis-Chadwick, 2010; Phan, Thomas and Heine, 2011; Heine & Berghaus, 2014). Adopting an exploratory approach, this chapter studies the role of social media in the luxury fashion industry through three case studies from the Italian market.